If you plan to cement your garage or driveway, you need gravel. It’s also used in roofing shingles, patio base, landscaping uses and much more. With this gravel calculator, you can estimate how much gravel you need for your construction project. In doing this, you can purchase the exact amount of gravel and avoid wasting anything. Read on to learn more about this online material calculator for gravel. How to use the gravel calculator? What area does a ton of gravel cover? How many bags of gravel do I need? First, you can input the Length and Width of the area, and then choose the units of measurement. If you’ve already multiplied these values together, input the Area then choose the unit of measurement. Then input the Depth of gravel you’re planning to use and choose the unit of measurement. After entering these values, the online calculator will provide you with the values for the Volume, Density, and Weight. Finally, input the monetary value for Price of gravel then choose the unit of measurement. After entering all of the values, the gravel calculator will automatically provide you with the total price you will spend on the gravel that you need. To get the volume, you need to get the width and the length of the area. For instance, let’s assume that the width of the area is 3 m and the length is 6 m.
If the area of your project has a different shape, you can use the gravel estimator to acquire the values you need easier. The next thing to determine is the area’s depth. Still working with our example, let’s set the depth at 2 m.
This is the volume of gravel you need for your project. You can also check your manual calculation through the online gravel calculator. If you want to calculate the weight of all the material to use, multiple the density of gravel by the volume you’ve acquired. But when using the online tool, you don’t have to remember the density of gravel because the calculator sets the value for you. But if you’re using an unusual type of aggregate, you may change the value for the density as needed. Then you can calculate the cost of the gravel you need manually by checking gravel prices in your area. 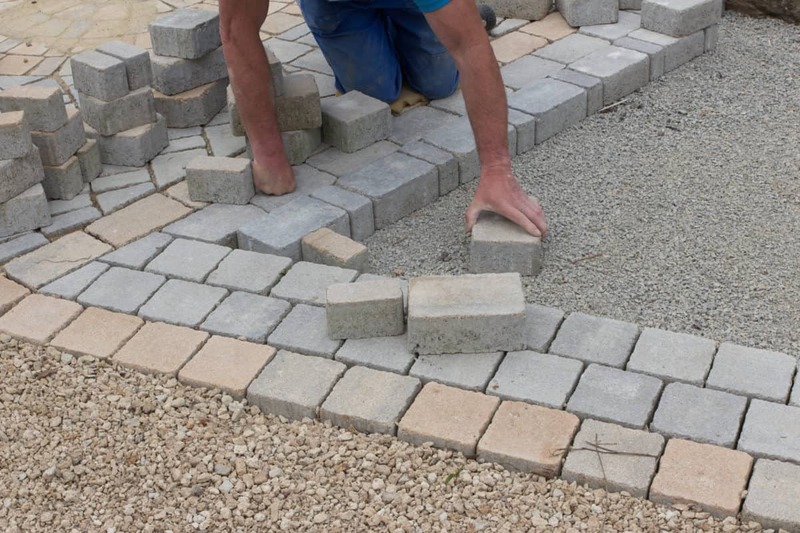 In the estimation of how much gravel you need for your construction project, your estimation depends on the type of gravel you’re planning to use. We’ve mentioned the most common gravel types, and they have particles ranging from coarse to fine. Before you make manual calculations or use the gravel driveway calculator, determine the type of gravel you will use first. When working with gravel, the ideal depth to use is 4-inches. The finer the particles of the gravel you use, the more even the coverage it will provide. If you use a type of gravel with coarse particles, then give an additional half-inch for the depth. If you use cubic feet as the unit of measurement, multiply the length, width, and depth of the area. If you use cubic yards, divide the total value by 27. One y3 of gravel equals 1.13 tons. Therefore, you can multiply the total y3 by 1.13 to convert the measurement to tons. If you’re planning to fill your driveway with gravel, you also have to perform a separate calculation for the underlay. The best bottom layer for this project is a road base then top this off with decorative gravel. In such a project, you won’t need as much gravel. You can cover half of the depth with the road base then half with the gravel. Doing this will allow you to save some money. Usually, Class A Concrete would have a proportion of 1:2:4. In this situation, you would use gravel, sand, and cement. Let’s say that the width of the area is 100 m and the length is 200 m with a depth of 0.1 m.